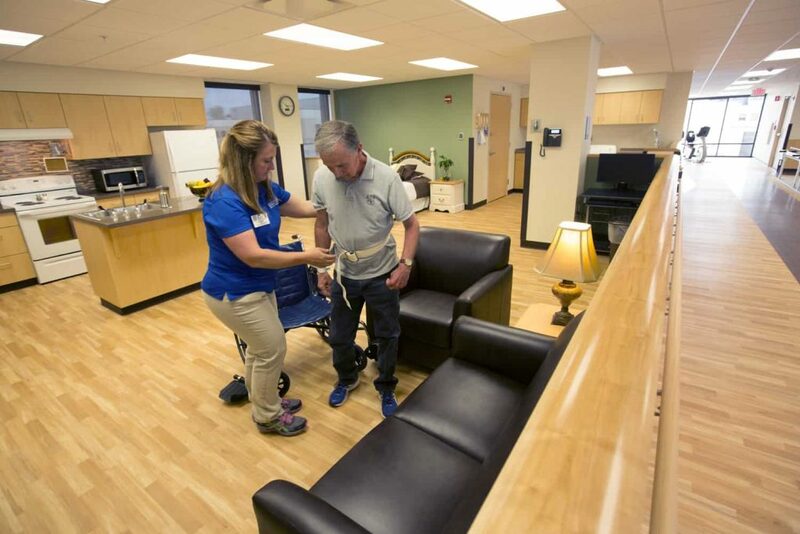 The new inpatient rehabilitation unit, located in the Patient Cross Tower at Saint Francis Medical Center, is the leading provider of inpatient rehabilitation services between St. Louis and Memphis. 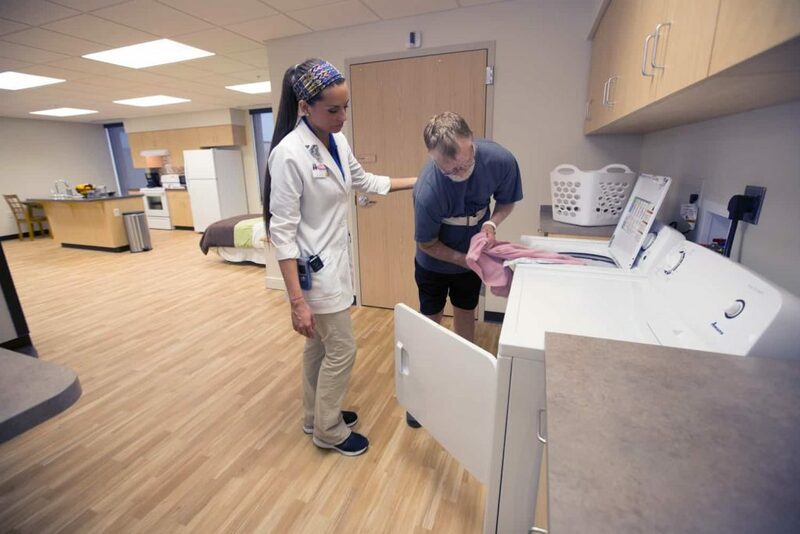 Our advanced 24-bed facility offers highly focused and specialized care to provide exceptional outcomes in a homelike, innovative space that helps patients overcome the cognitive, physical, functional and behavioral challenges associated with the rehabilitation process. 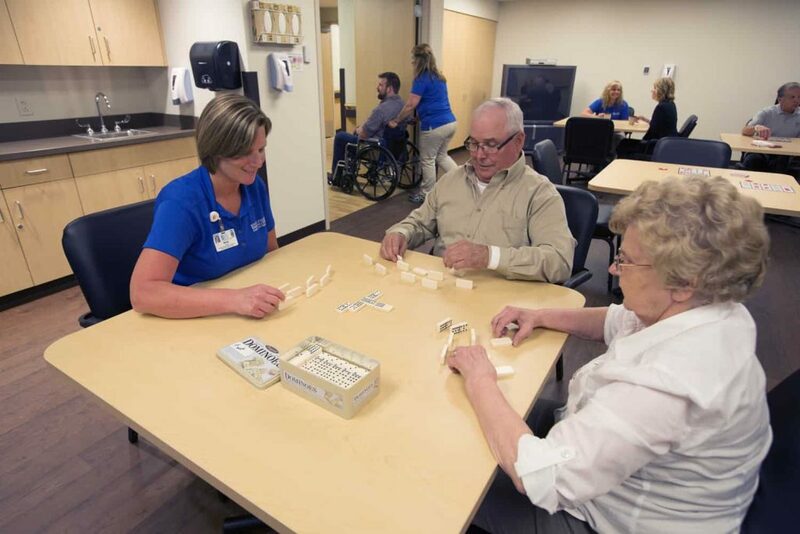 As the leading inpatient rehabilitation facility in the region, Saint Francis’ state-of-the-art, 24-bed unit offers comprehensive and coordinated programs in one convenient location for patients with cognitive, physical, functional and behavioral deficits. 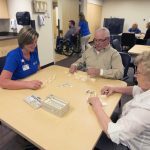 Our activity room offers the opportunity for patients and their visitors to gather socially or for therapeutic activities, available 24 hours a day, seven days a week. 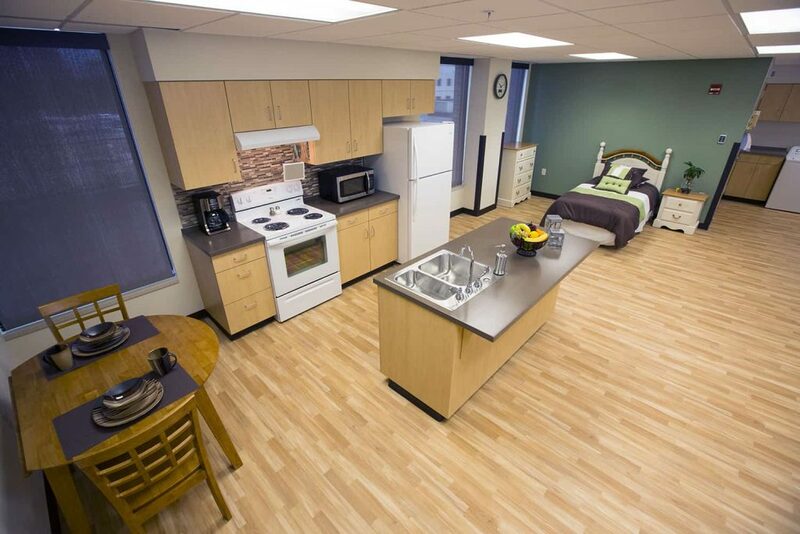 This studio-style apartment provides an opportunity for the discharge-to-home transition where both the caregiver and patient stay overnight in a homelike environment. 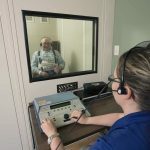 Primary care is provided by the caregiver while maintaining the security and supervision from staff. 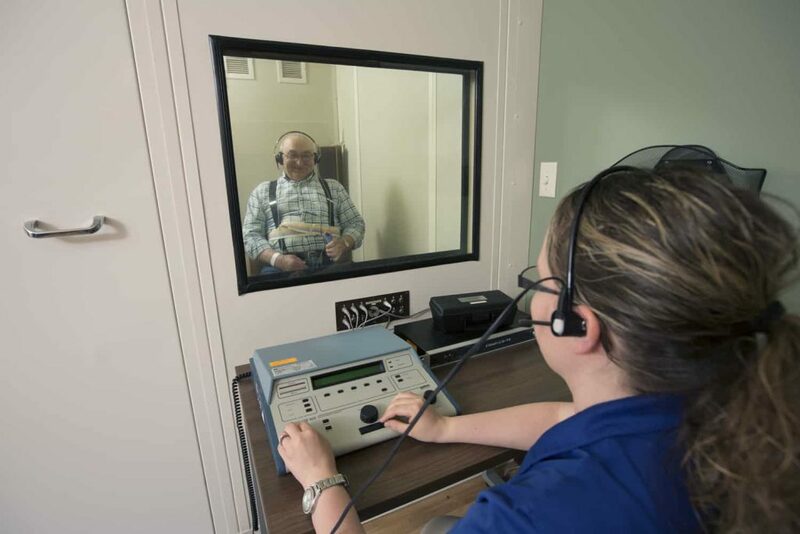 On-site audiology services include full-hearing examinations provided by certified staff. 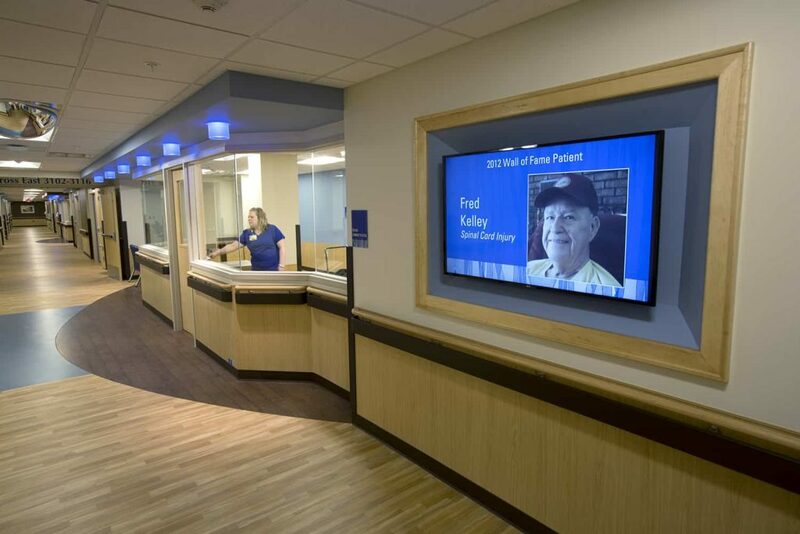 Photos of patients recognized for outstanding accomplishments are featured on our Wall of Fame and honored during our annual National Rehabilitation Week ceremony. 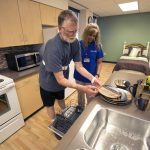 Fully functional appliances and devices in a realistic homelike environment provide opportunities for patients to participate in therapy and prepare for their return home. 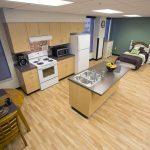 A functioning dishwasher, sink, oven, stove and more offer a working kitchen environment to help assess and develop safe practices before returning home. 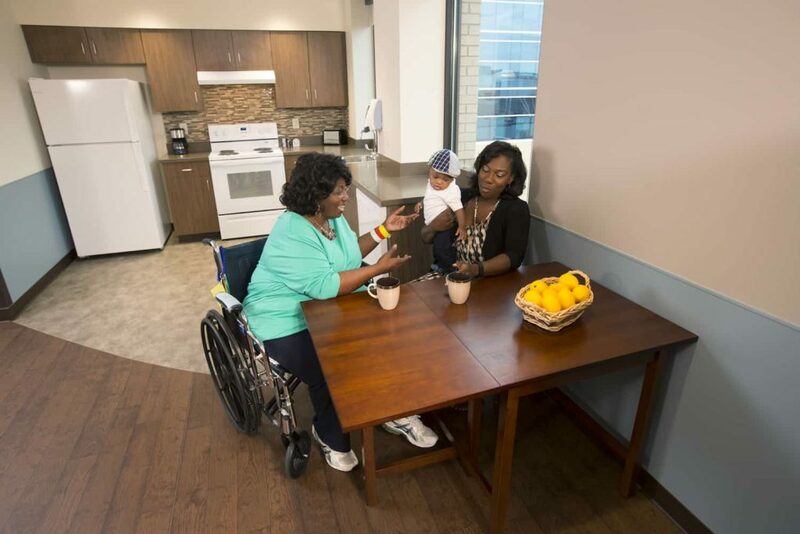 Walking around and relaxing in a homelike living area helps patients to safely practice transfers, reaching and cognitive approaches to help reacclimate them to using electronics and other devices. 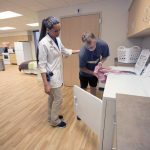 Another area featuring household appliances helps prepare patients for returning home by reintroducing the performance of daily household tasks such as laundry. 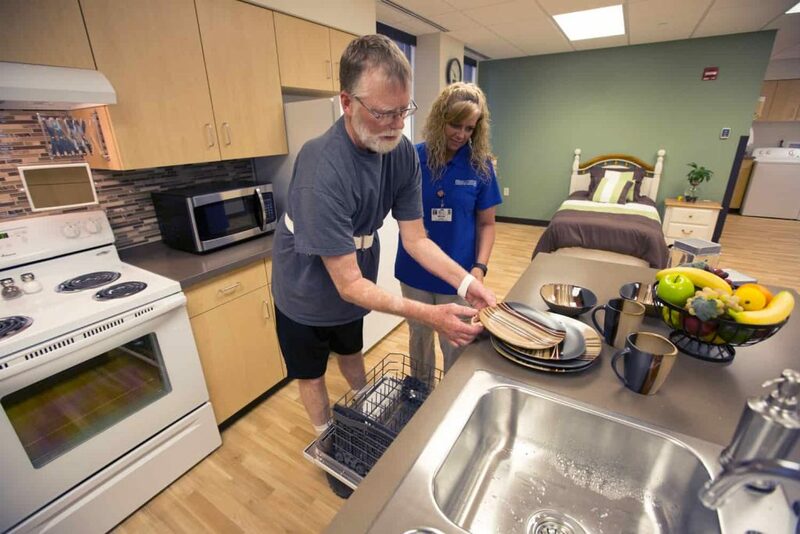 Routine activities such as getting into and out of bed present additional challenges during recovery. 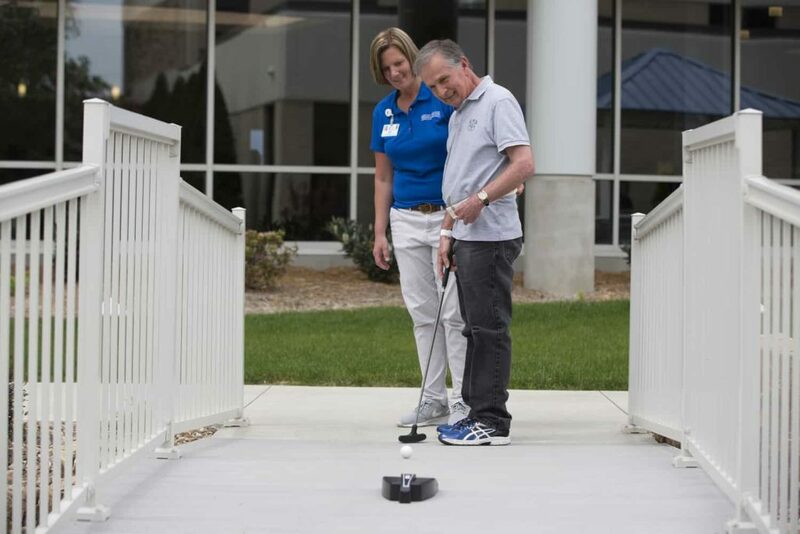 Practice and assistance from our team help patients prepare for their return home. 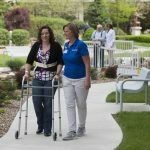 Patients can practice moving across various outdoor surfaces in the comfort of our beautiful Rehabilitation Healing Garden yet have the security of staff assistance to maintain balance and reduce fall risks prior to discharge. 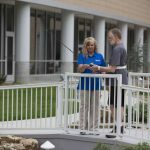 In the spacious Rehabilitation Healing Garden, patients have the opportunity to achieve patient-centered goals (and have a little fun). 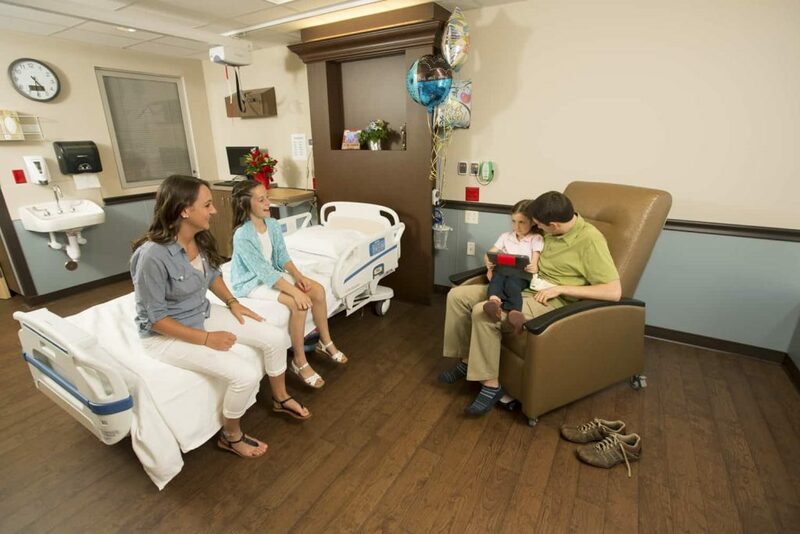 All-new, large, private rooms provide space and opportunity for treatment and relaxation with family and visitors. 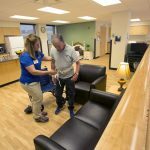 Spacious, private bathrooms promote independence while providing room for training and grooming for those with and without assistive devices. 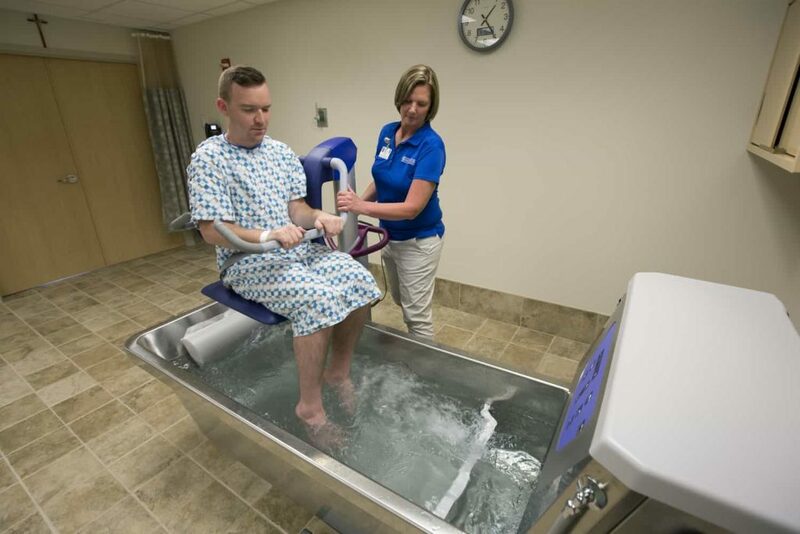 A state-of-the-art hydrotherapy area is available for patients with wound care needs. 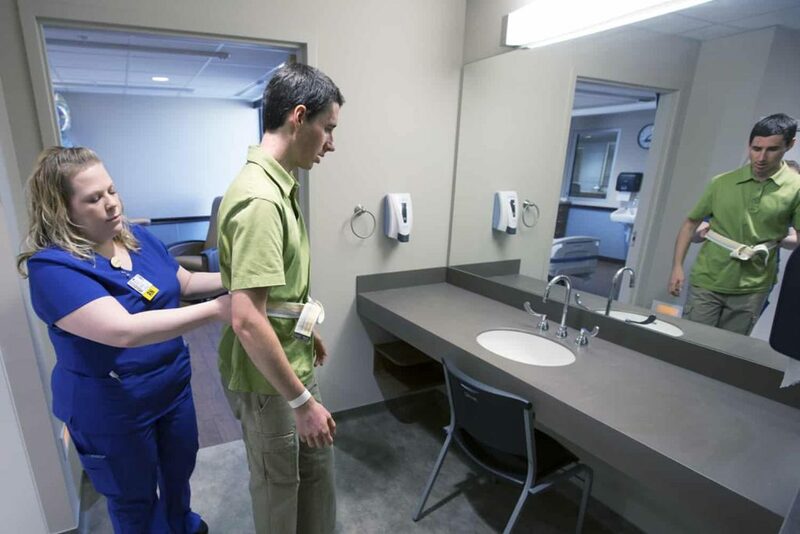 Board certified physical medicine and rehabilitation physician Heidi J. 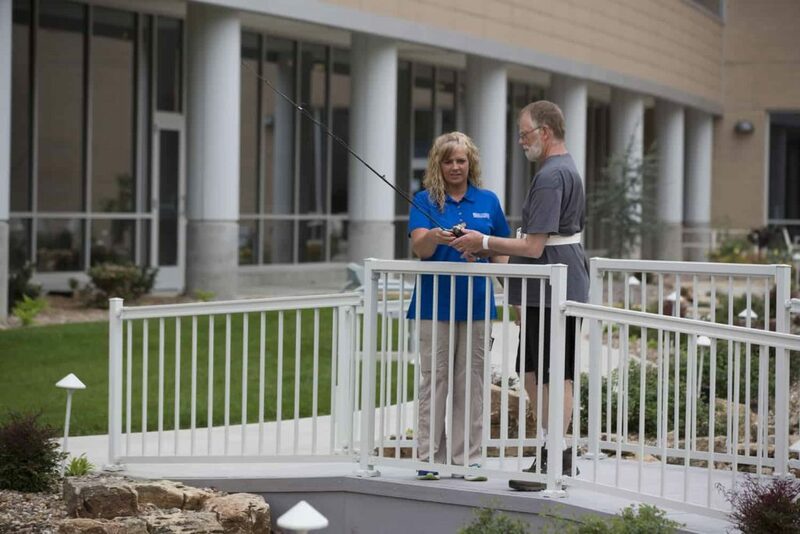 Hunter, MD, is the full-time medical director for Inpatient Rehabilitation. 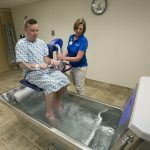 Dr. Hunter is a graduate of the University of Missouri-Kansas City Medical school, and served as Chief Resident at The Ohio State University Medical Center. 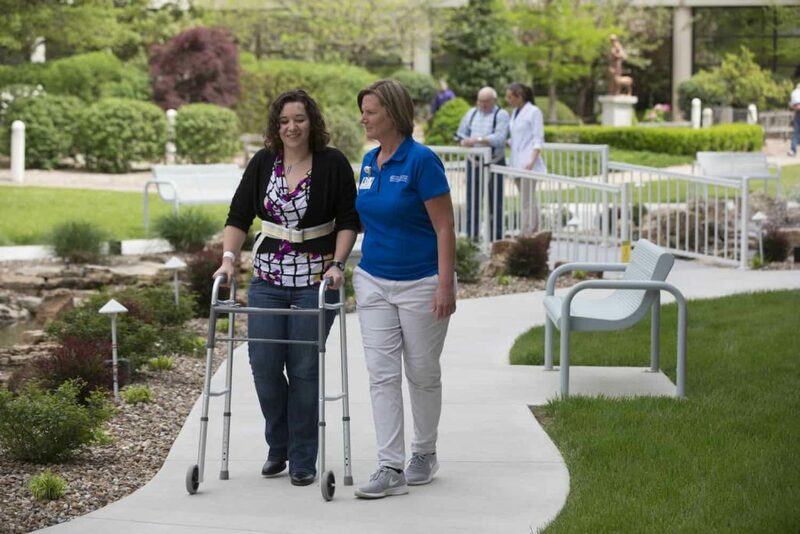 Her clinical interests include traumatic brain injury, spinal cord injury and stroke patients. 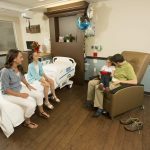 Pastoral Care provides spiritual and emotional support to patients. 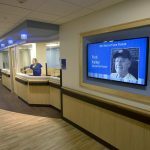 A chaplain is available 24 hours a day to provide pastoral, spiritual and emotional care to patients, visitors and staff.